becoming Julie Griffin: Guest Post: Which Transition is the Hardest? Guest Post: Which Transition is the Hardest? As Dan and I are immersed in the joys and challenges of transitioning from one child to two, I often marvel at mamas with more kids than me. We've always talked about having a "big family" -- but right now we canNOT imagine adding ANOTHER baby in the mix, or TWO other babies in the mix. The thought of it makes me almost pass out. 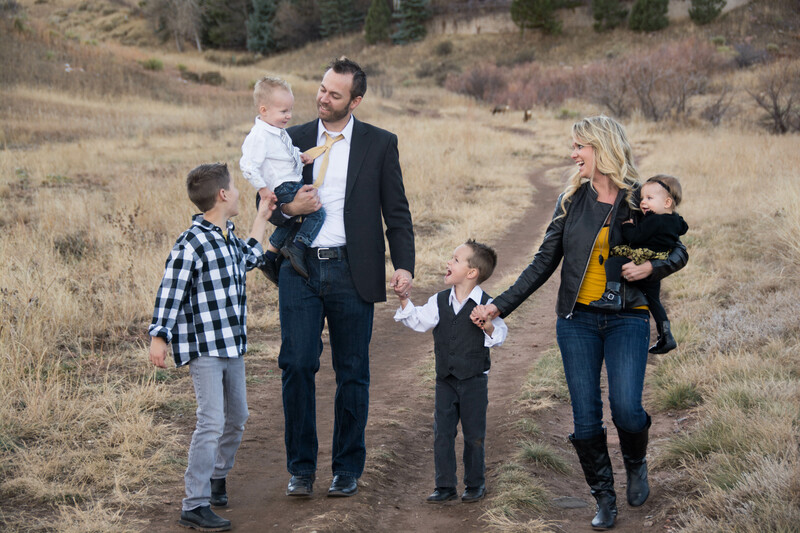 I asked new blogger Christen Spratt, mother of four, to chime in on her experience transitioning after the birth of each new child in her family. You can follow Christen and the Spratt Pack at christenspratt.com. Which Transition is the Hardest? You know how this keeps happening, right? A more reasonable question I am frequently asked is in regard to which transition (number of children) was the most difficult. Honestly, the question itself just makes me giggle a little bit. Uhhhh, they are all insanely hard! I mean, seriously, you are officially responsible for another human being; one of God’s perfect creations. That seems like a heavy burden in and of itself. But the question makes me giggle for another reason… It’s like the asker wants a one size fits all answer. They want to know when to brace themselves for the worst and whether or not the worst is over. Well, the reality is… the season of your life in which each of those babies is born has a huge affect on the transition. Other factors of a smooth transition would be the temperament of the child, gap between sibling(s), your support system, whether or not you work, etc. Baby #1 – I was a young single mom, scared out of my ever-loving mind trying to balance school, work, and motherhood all while living under my parents' roof. However, like most first time mommas I did a ton of reading and thought I had my baby raising plan all figured out. In reality, I was faking it and had to do a lot of trial and error. Baby #2 – I had just married the man of my dreams and we wanted to add to the family right away. (seemed like a great idea at the time) Oh man! Newlyweds having babies is a sight for sore eyes. We were still learning how to coexist when all of a sudden, we had yet another roommate who we were trying to co-parent. This child just happened to be difficult from the moment of conception and is still our most challenging of the brood. Baby #3 – I was much more comfortable and relaxed in my parenting than I had been previously. This was a very well planned pregnancy, meaning intentional spacing/season of life. We thought we had prepared for everything. However, there were a few elements we hadn’t taken into consideration. There was school and practice for the oldest, #2 had turned on us (the difficult child had become nearly impossible), and we could no longer divide and conquer. We were outnumbered. Dun, dun, dun. Baby #4 – I once read a quote that said having 4 kids is like you are drowning and then someone throws you a baby. That is a pretty accurate statement. I was still nursing when we decided to go for #4 so we thought it would take a while to get pregnant. Not the case. 16 months later our little girl arrived on the scene. Oh, did I mention that at 6 months pregnant we decided to move out of state? Yep, we did. When we brought her home I felt like my house had been infested with children. They were EV.ERY.WHERE, like black ants on a sticky kitchen countertop. Unfortunately, my sweet friend, there is not a simple answer. As you can see with our crazy life and story…there was not one specific transition that was easier or harder than the other. It was all so very circumstantial. You will be scared and you will feel overwhelmed. The business of making babies and surviving it all is hard. That said, there are two things I know you can count on for sure… First, the more kids you have the less you worry about things like perfectionism, volunteering for everything, and keeping up a perfect façade for all to admire. It’s sort of freeing, actually. Second, you can also count on having exponentially more laundry, love, hugs, kisses, snuggles, and poop in your life. So, brace yourself. The transitions are rough and often messy. Yep! Got that one all figured out and we practice regularly. Absolutely!! Our quiver and car are full. If your readers would like to read more about our mess you can follow along at christenspratt.com. Thanks for letting me share.